Testing if I can get photo's to work here! The photos open ok. Open them yourself just to check they show what you were trying to show. 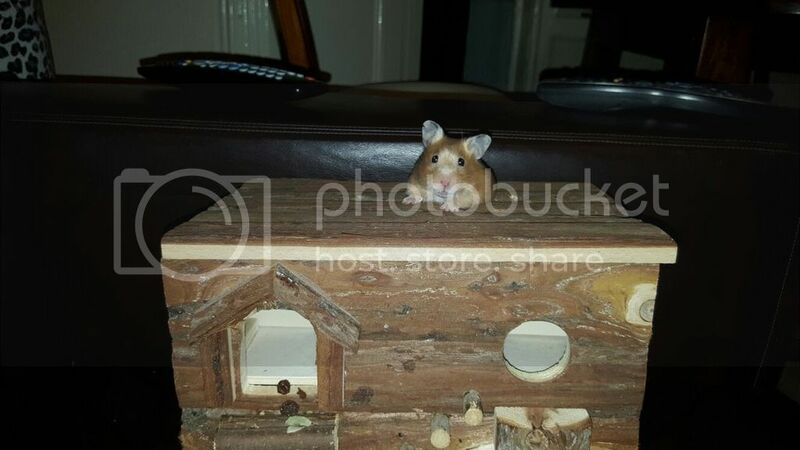 Only one (Hamela)had a hamster showing on the top of a house. The first picture was a flower garland and the third was just a log with holes and a bendy bridge. lets see how this works! Now I can see all three cute hamsters. 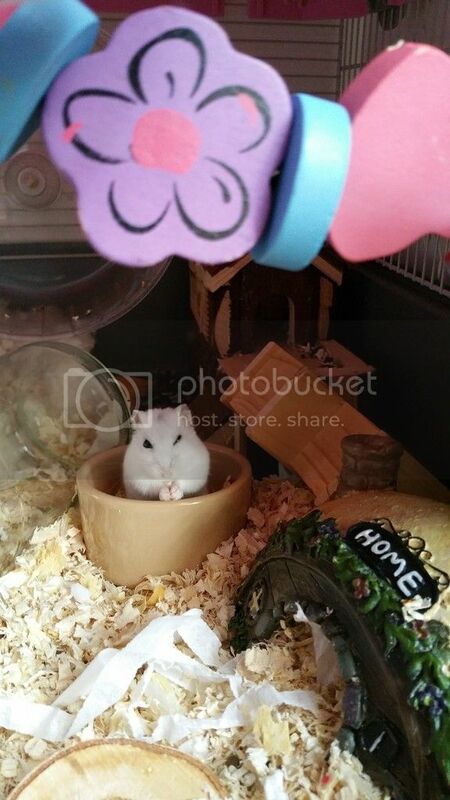 Adorable hammies! I love all the photos. The robo is hiding in the log CMB! Actually I think that wood house does have quite small holes for a Syrian! 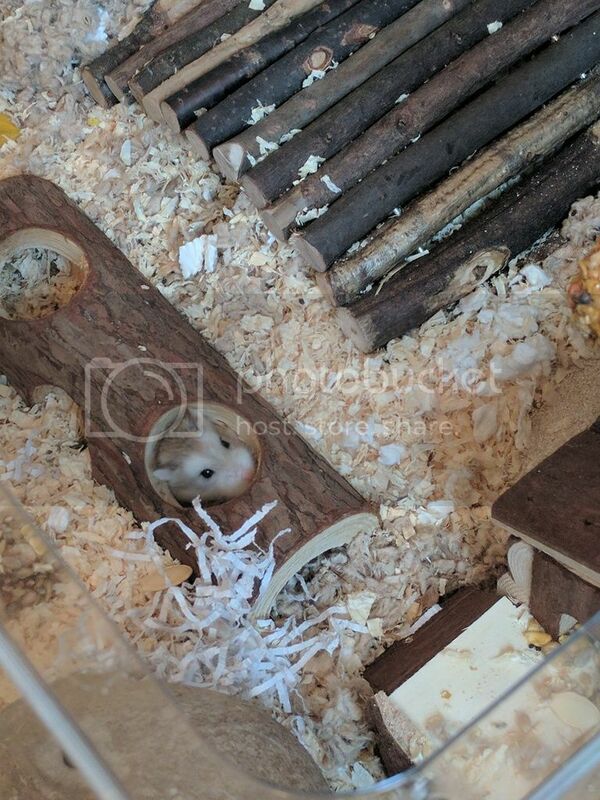 But it looks like an out of cage toy so I'm sure she's kept an eye on when in it It's hard to tell from the photos but there is a house like that that's for dwarf hammies.